Anyways, last night a few of us kept the dream alive for a ride every week all year.. Tyler, Mark T, and Mike A (a for awesome), went out in the misty rain to do a nice cruising ride at mono. 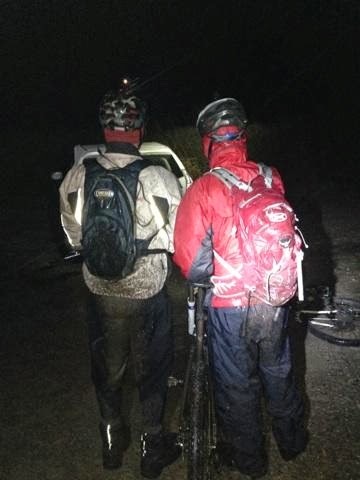 We did avoid the rocky sections due to the weather, but we still had a great time. Temperature wise it was very comfortable, not too cold, not too warm, and with a slight mist in the air, overall it wasn’t too bad. 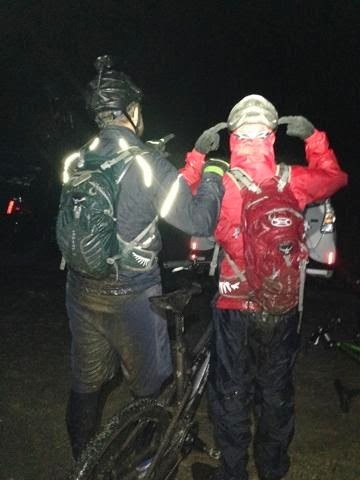 The trails were slick, and muddy, but you adjust your speed to accommodate the conditions. One change to riding this time of the year, you start the ride at night. So please make sure you have charged batteries before you start!